Neil has been involved in the property industry for over 25 years. 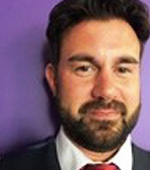 He started his career at the age of 19 with Sussex estate agent Stiles Horton Ledger as a trainee, then moving to Leaders, the largest independent letting agent in the south east, as a trainee letting negotiator. For the next five years Neil worked through the ranks to become a senior branch manager, being deployed to new branches to establish the brand in the area, with spells in East and West Sussex, and also Hampshire. Since leaving school Peter has mainly worked for large corporate estate agents, progressing to Branch Manager and gaining extensive knowledge of property on the South Coast over the past 20 years. Peter had a dream to work abroad so decided to set up an estate agents in the Canary Islands. This was very successful but he became very home sick and decided to return to England. Alexander Philips relished the opportunity to bring his wealth of knowledge and experience to already successful team. David heads up our busy Client Accounts department. A valued member of the team, David has been employed by Alexander Philips from the very beginning. David is approachable and personable and over the years he has proved to be a real asset to the company. 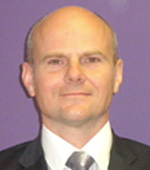 Simon has been involved with the property industry since 1985. Originally developing accounts software for a variety of professionals, Simon’s company developed the first compliant accounts and management software for letting agents in the late 80s. 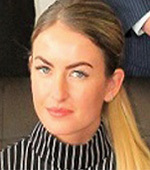 Paige takes care of the day to day running of our busy lettings department, with her many years of experience she makes sure all our landlords and tenants feel at ease and uses the latest internet technology to market your property to get the best rental income. In her spare time she loves socialising and spending quality time with her family.